MorePeaceCorps is a campaign launched in 2008 by the National Peace Corps Association with the goal of increasing support for the Peace Corps, eventually doubling its budget and worldwide volunteer base by 2011, the 50th anniversary of the Peace Corps. MorePeaceCorps will begin by throwing 100 House Parties across the United States to rally support for this crucial goal. You can help out by hosting a party, arranging for donations, coordinating publicity, writing letters and/or op-ed pieces, or simply attending your local house party! 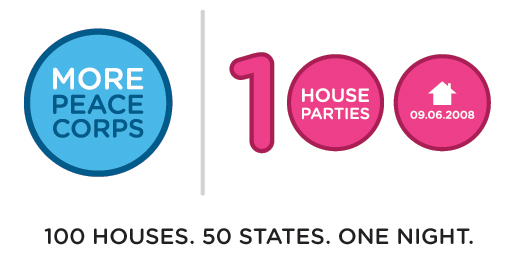 If you are interested in becoming an official MorePeaceCorps local organizer or simply learning more about 100 House Parties, please contact May Wilkerson at MorePeaceCorps, or visit the official MorePeaceCorps web site. Ingrid Patetta’s documentary, At The Center Of The Earth – Of Wells and Men, has recently won a Golden Giraffe award at the International Environmental Film Festival of Niamey. 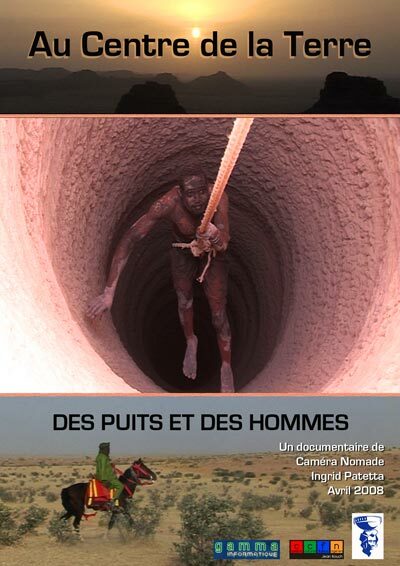 Honoring the traditional know-how of the Hausa well-diggers of Niger, the film reveals the pride, the tradition, and the determination of these Sahelian men who dig the earth with their bare hands in order to access water. The film has also been chosen as an Official Selection the represent the African continent for the International Water and Cinema Events World Water Forum, taking place in Istanbul in March of 2009. We congratulate Ingrid and hope she continues to produce more wonderful and educational films about Niger.